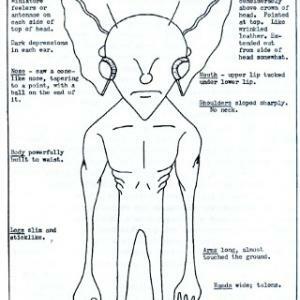 The Kelly–Hopkinsville encounter, also known as the Hopkinsville Goblins Case, was a series of incidents of alleged close encounters with supposed extraterrestrial beings. These were reported in 1955, the most famous and well-publicized of which centered on a rural farmhouse, at the time belonging to the Sutton family, which was located between the hamlet of Kelly and the small city of Hopkinsville, both in Christian County, Kentucky, United States. 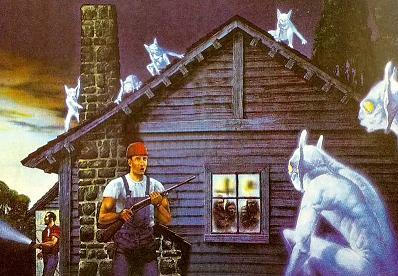 Members of two families at the farmhouse reported seeing unidentifiable creatures. Other witnesses attested to lights in the sky and odd sounds. The events are regarded by UFOlogists as one of the most significant and well-documented cases in the history of UFO incidents, and are a favorite for study in ufology. UFOlogists have claimed it was investigated by the United States Air Force, although no evidence of an investigation has been found. Witnesses to the incidents included eleven people belonging to the two families present at the farmhouse and others in the area. Several local policemen and a state trooper saw unexplained lights in the night sky and heard odd noises the same night. 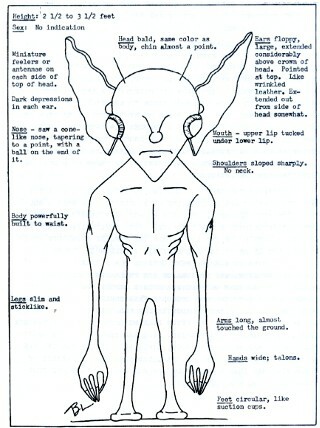 The seven people present in the farmhouse claimed that they were terrorized by an unknown number of creatures similar to gremlins, which have since often been referred to as the "Hopkinsville Goblins" in popular culture. The residents of the farmhouse described them as being around three feet tall, with upright pointed ears, thin limbs (their legs were said to be almost in a state of atrophy), long arms and claw-like hands or talons. The creatures were either silvery in color or wearing something metallic. On occasion, their movements seemed to defy gravity, with them floating above the ground and appearing in high-up places. They "walked" with a swaying motion as though wading through water. Although the creatures never entered the house, they would pop up at windows and at the doorway, waking up the children in the house in a hysterical frenzy. The families fled the farmhouse in the middle of the night to the local police station and sheriff Russell Greenwell noted they were visibly shaken. The families returned to the farmhouse with Sheriff Greenwell and twenty officers, yet the occurrences continued. Police saw evidence of the struggle and damage to the house, as well as seeing strange lights and hearing noises themselves. 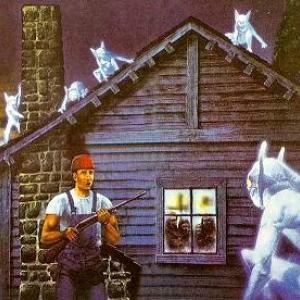 The witnesses additionally claimed to have used firearms to shoot at the creatures with little or no effect. In addition, the house and surrounding grounds were extensively damaged during the incident.